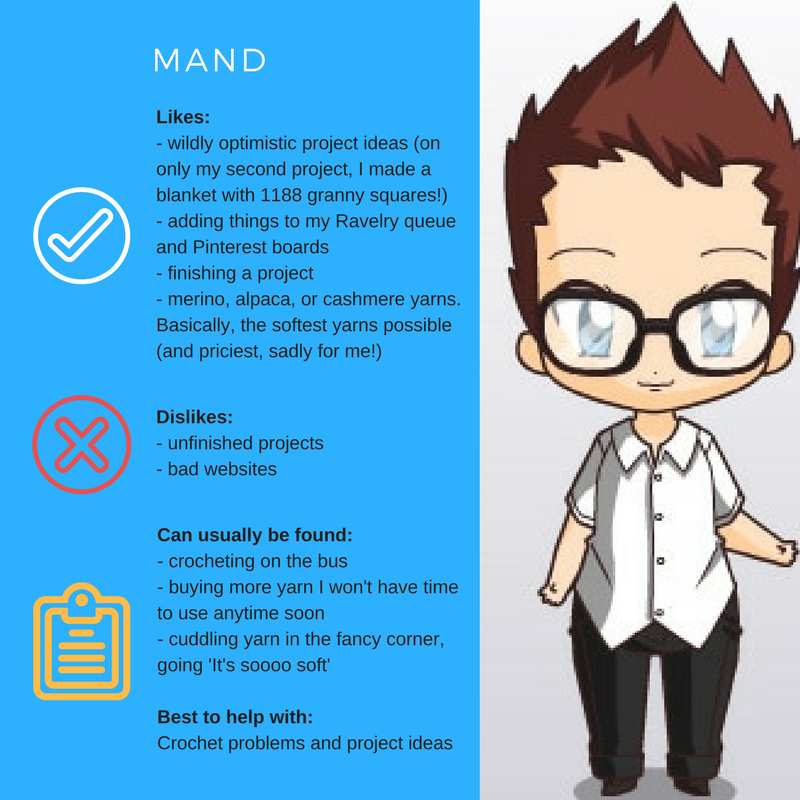 An IT manager by occupation, Mand can't knit for toffee, but loves to crochet and can turn her hand to most patterns. A lover of yarn, she loves unusual or striping wools, and makes the crochet giraffes we sell in the shop. 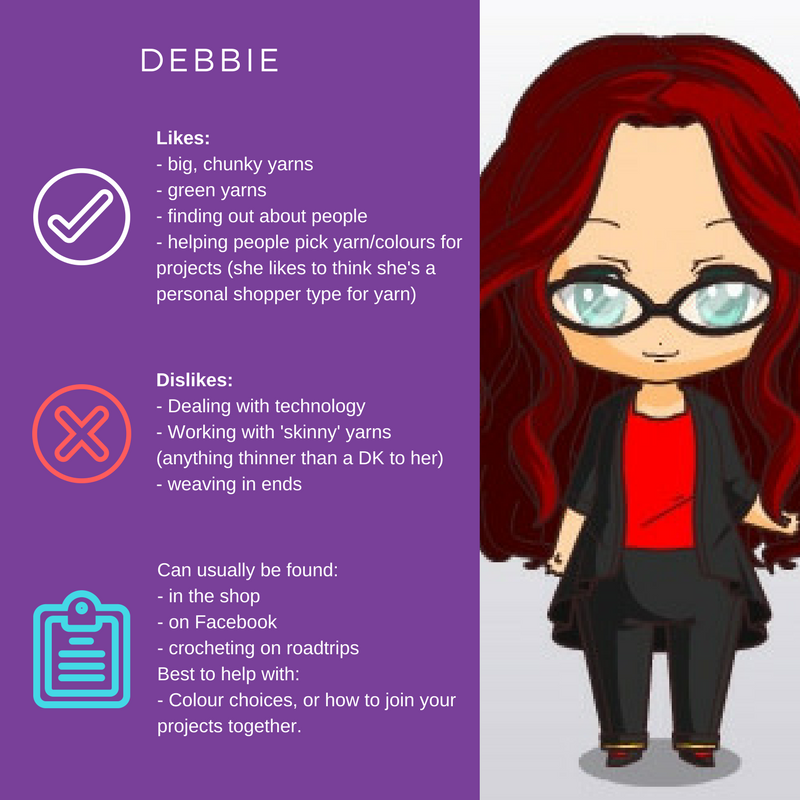 A lifelong knitter but recently converted to the crochet side, Debbie is a former nurse who fancied a career change and has always wanted to run a shop. She loves people and can definitely bring the 'natter' to the Knit and Natter groups. 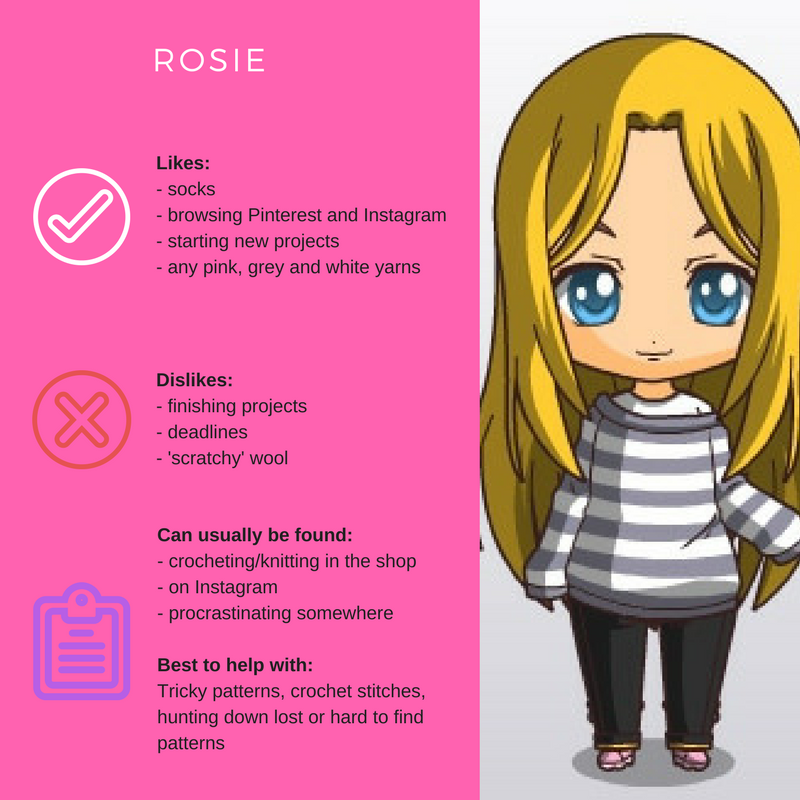 The youngest of our group by far, Rosie is only 20 but has already designed her own range of patterns for crochet animals under the Built By Boo brand. She can knit as well as crochet, but generally prefers crochet for it's speed.